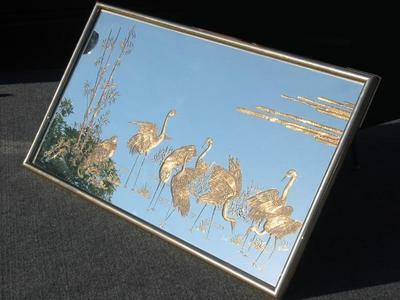 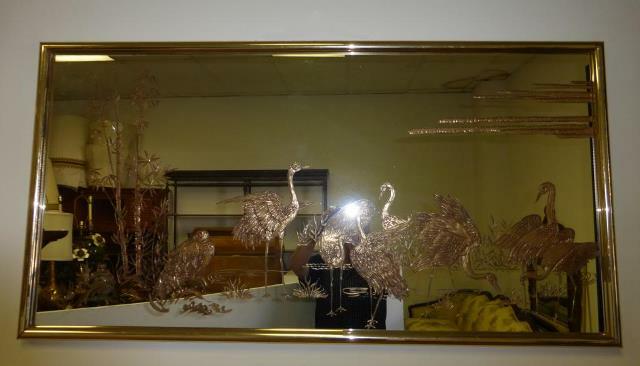 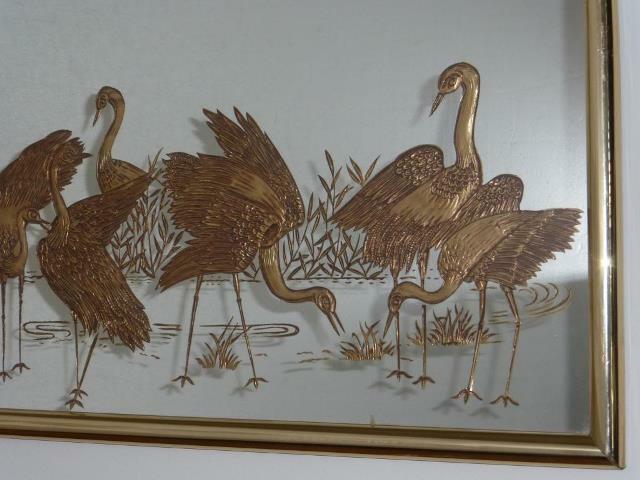 This is a mid-century mirror in the Hollywood Regency style with unique artwork. 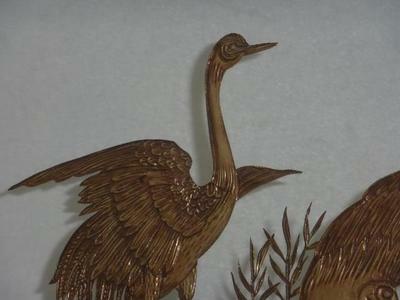 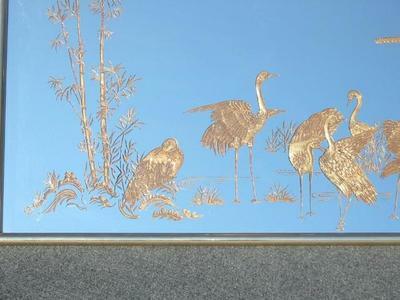 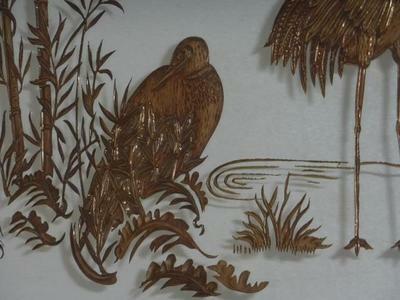 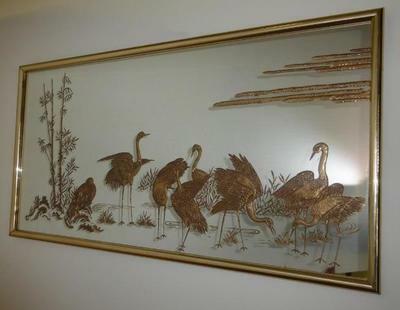 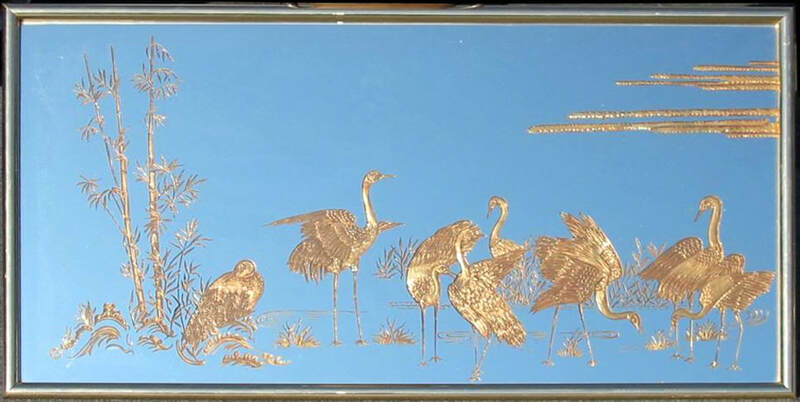 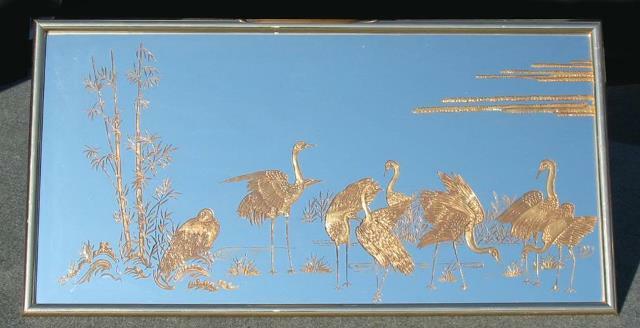 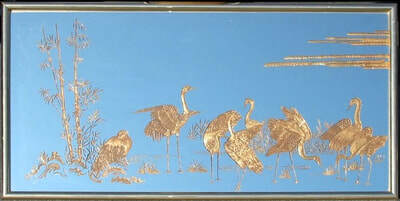 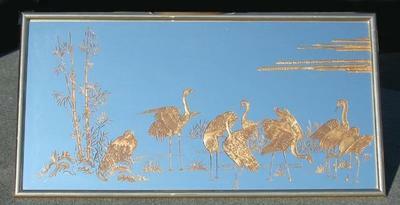 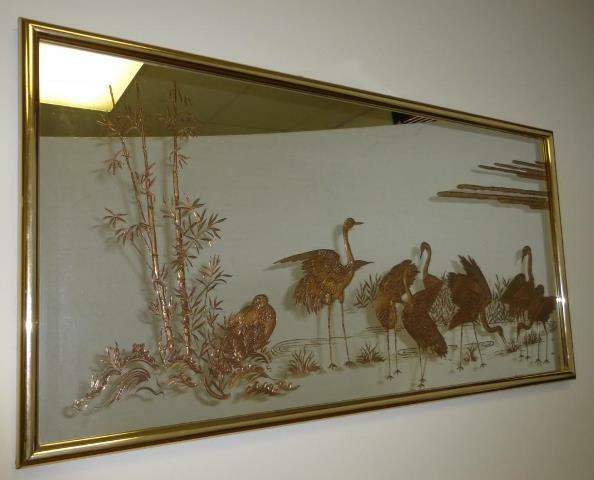 The glass has been etched from the back and deposited with gold to depict eight cranes in a wetland habitat along with bamboo plants, water ferns, swirls for water, clouds, etc. 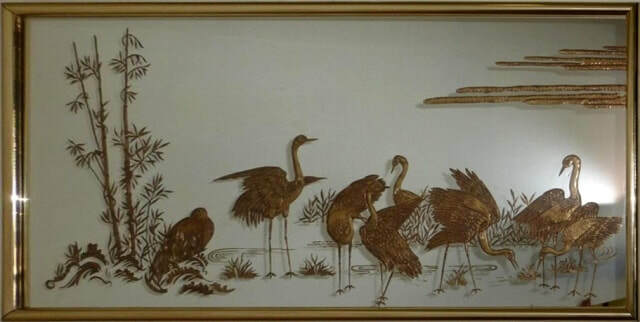 The cranes are in various poses including sleeping, spreading there wings, dipping for food or water, etc. 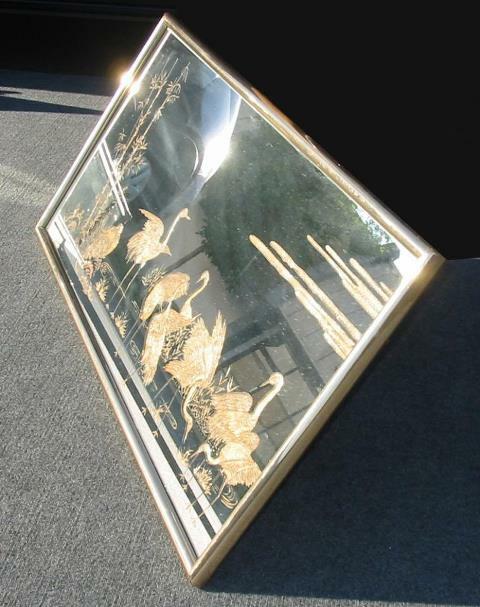 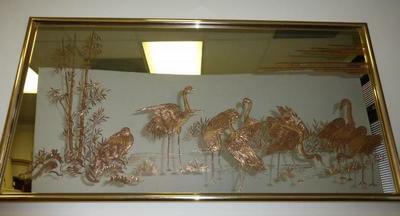 The mirror is framed in a golden metal frame of 50"x25.5" size.